If you’re interested in the keto diet. I’ve compiled a great resource for you. You can get the Keto Snack Guide completely free just sign up below. There is no chopping, grating, mixing, blending, or any of those tedious tasks associated with healthy food. 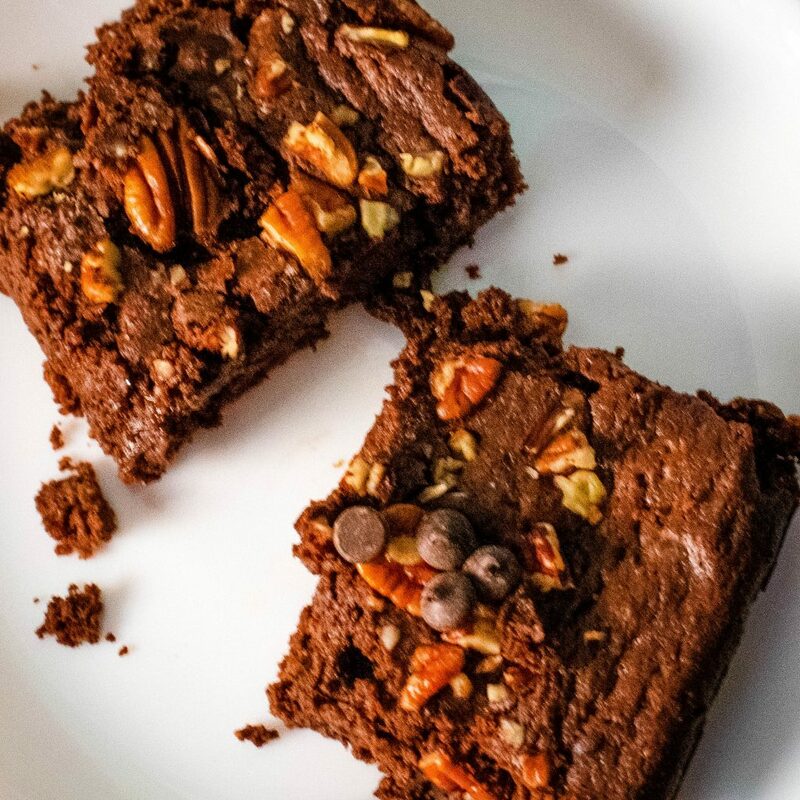 These keto brownies are every bit as easy and delicious as box brownies and much better for you since they have no added preservatives or “extra” hidden ingredients lurking in processed foods. I use Lilly’s Stevia Sweetened Dark Chocolate Chips. They are usually available at any health food store, but if you can’t find them in your area, you can always order from Amazon. If you can’t find them, or if the price makes you wince, they can be left out, or substituted for a little extra cocoa powder. They really do make the brownies much richer. Note: You don’t have to get this brand, but make sure you are getting sugar-free. Also, try to check the carb count on whichever chocolate chips you use. Some sugar-free items are still high in carbs. So, be sure to double check. I use real butter for the bottom of my pan. It gives a nice flavor, and I avoid processed oils used in many cooking sprays. If you are using Country Crock, you are not using butter. Anything with “margarine,” “butter spread,” “butter flavored,” or “less fat” on the label is not butter and is likely made with vegetable oil. Vegetable oils are man-made oils that contribute to carb-cravings, inflammation, and overall poor health. You can read about the effects of vetable oils here. The Pan: The 8×8 Pyrex works perfectly for this recipe. However, you could use any pan of similar size. The cook time will vary depending on the material you use. Glass takes longer to heat up than metal but stays consistently hot longer than metal pans. First, melt the butter in the microwave. Then, stir all the ingredients together, and pour into the pan. Finally, bake at 350 for 20-30 minutes, until a toothpick comes out of the center clean. 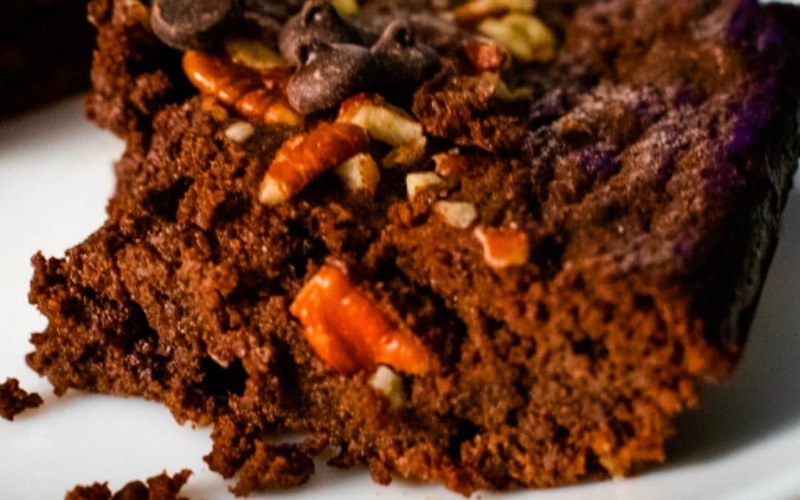 These low-carb brownies are a perfect sweet treat. They are dairy-free and sugar-free, so they are perfect for keto and paleo dieters. Butter bottom of the pan. Bake for 25-35 minutes or until center is firm. *always double check your nutrition facts. Some delicious nuts, extra chocolate chips, or keto whipped cream topping would be a perfect addition to these keto paleo brownies. 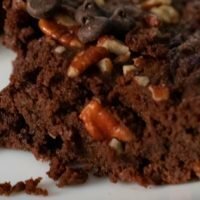 What are some of your ideas for low-carb brownie toppings? Let me know below. 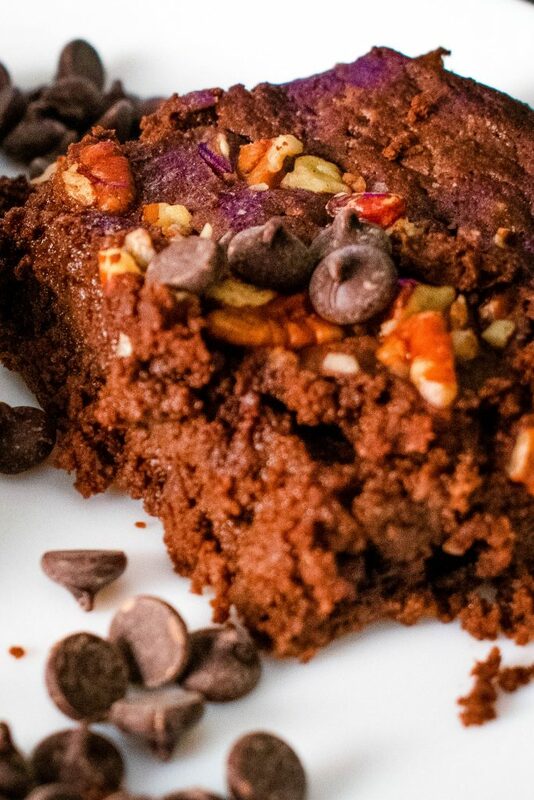 Check out more of our awesome Keto Desserts before you go!